Stricter medical practice regulations are here to stay, so doctors and practice managers need to keep up. One of the most exciting consequences of the new standards is the growth in medical technology, especially mobile electronic health record (EHR) platforms. These benefits really shine with cloud-connected platforms that are built to run on tablets or mobile devices, which allows care providers to hand the tablet directly to the patient to fill out medical histories. By placing the entire EHR system in the cloud, the provider benefits from searchable histories, fast reports, and agile patient processing. As the regulations and medical ethics promote, a good mobile EHR will give providers more time with patients and let them spend less time doing paperwork. 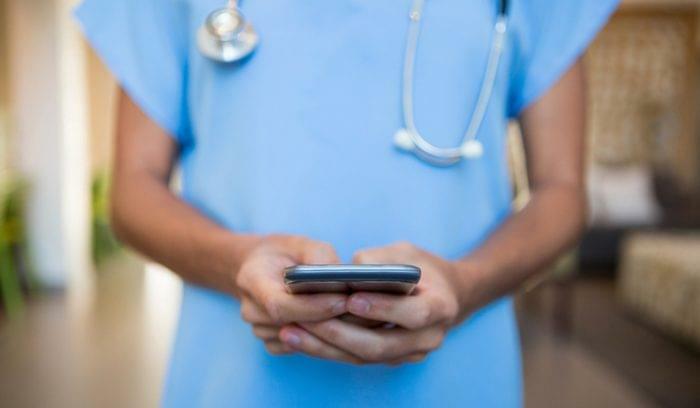 Since a whopping 89 percent of medical practitioners already use a mobile device to communicate with their staff, providing access to practice-critical documents on the same device just makes good sense. Afterall, it’s where we’re already spending our time and where technology adoption is most intuitive. If you’ve yet to go mobile with your EHR, the following features represent a good checklist of what to look for when choosing your platform. So much of a care provider’s decision process relies on the patient’s medical history, both immediate and long-term. A good mobile EHR gives providers searchable access to full histories so they can pull up charts with the touch of a finger, rather than sending office assistants running for the file room. From the wider view, digitizing charts and medical histories gives doctors greater insight into overall trends with their patients. Strong reporting features let providers dig into their data in a measured and scientific manner, combining practice research with deep and immediate patient care. The last thing you need is to spend time switching between systems to ensure that lab results and prescription requests get to and from the right providers. Even worse, you don’t want to spend your time re-entering data or repetitively copy-pasting data from one place to another. Such a process is not only time-consuming, but prone to error. Secure connections to partner providers means fewer mistakes and higher efficiency for all parties. It also means that patients have faster access to rare medications that may need to be ordered. A mobile EHR with a patient portal also saves providers from calling or emailing routine or normal test results, and saves office staff time and supplies because they no longer have to print and mail paper test results. Scheduling patients is a time-consuming and frustrating process, especially when your practice strives to balance individual patient face-time with growing your overall patient list. With a mobile EHR, your team can schedule follow-up appointments on the fly, saving valuable minutes and promoting growth. Many systems also allow you to build in scheduling rules to limit the number of appointments or times a particular type of appointment occurs. You can double and triple schedule patients when needed, or block off whole sections of your time. Proper scheduling also requires your team to keep an eye on the current day’s schedule to provide coverage for emergent situations. Because patients don’t choose when they fall ill, you have to be ready to fit them in whenever possible for continuity of care. Electronic scheduling features let practitioners and office assistants find the best time to care within existing schedules. While the care you provide patients is of the utmost importance, it’s only possible when you’re earning money. 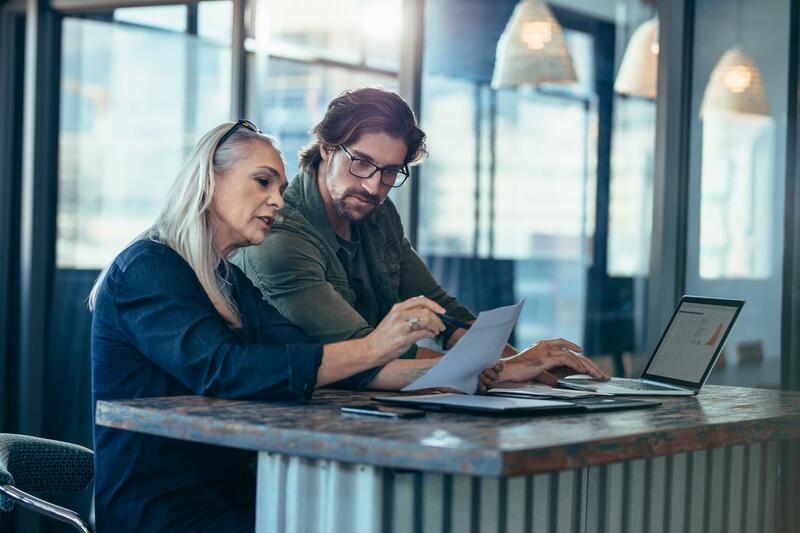 Revenue drives all other business objectives and proper, timely billing is critical for insurance providers, as well as being part of a quality patient service experience. A mobile EHR uses advanced payment capture systems to provide patients will accurate billing information, receipts, and swift payments at the point of care. Oftentimes, people think that moving to the cloud makes their data more “out there” and less secure. In fact, the opposite can be true. 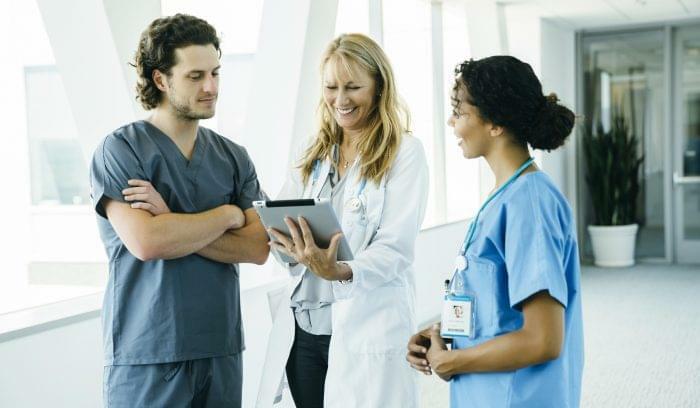 The right cloud-based EHR systems will employ more advanced security features that ensure critical compliance and medical information privacy for your patients. Make sure that the mobile EHR you choose requires a password protected login, encryption during data transfer and at rest, and two-factor authentication for logins. Your mobile EHR should require a passcode to open the device, and if it doesn’t, require it for all your internal devices. When you build and enforce data security policies, patient privacy actually increases when compared to paper records. 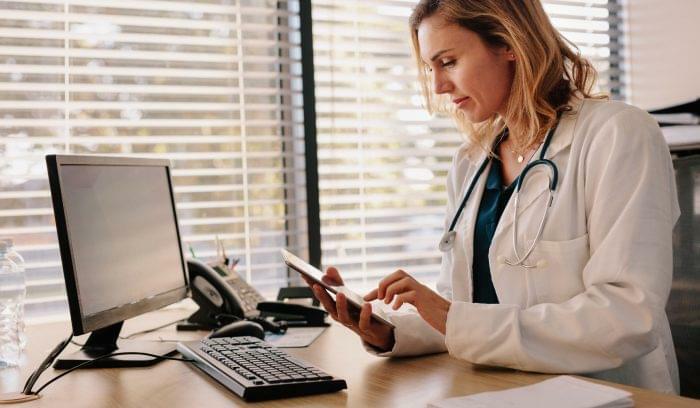 A mobile EHR can increase your patient privacy, your practice efficiency, and your provider network connections. Start investigating the best mobile EHR software in our product selection tool, or call an unbiased Technology Advisor today for a free consultation.